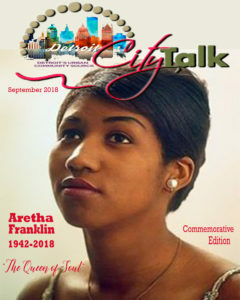 City Talk Magazine is a Print and Online publication that proudly gives voice to the culture and lifestyle of those who experience life in the communities of the Detroit Metropolitan Area. City Talk Magazine has a strong entrepreneurship focus and assists the community by keeping the cost of advertising very low. City Talk Mag TV is a marketing channel to promote your online store, if you are an author looking to promote your book, promote your blog, start-up business, Music Artist to promote new song, promote classes, seminars, and workshops. City Talk Mag TV Podcast advertising in general is when a podcast host favorably endorses your product or service on their podcast (video show downloaded or streamed from the internet)..
City Talk Magazine TV marketplace makes it easy to shop different advertising methods from a variety of pod casts in one convenient location. City Talk Mag TV provides detailed information about each show including show descriptions, audio samples, demographic data, ad inventory with pricing, and more. We provide the necessary tools and data you need to select the best qualified audiences for your business. When you order an ad spot form our catalog, you get to work directly with the show's host. Simply send them information about your business and we'll be sure to deliver a visual ad that respectfully promotes your product or service. Most of our podcasts ads are published within 7-10 days and publishing information will be provided upon completion. This information includes: name and a link to the episode audio file, the date the episode went live, the start time your ad appears, and more. City Talk Magazine is the only Magazine that has PRINT, ONLINE, VIDEO MAGAZINE and CITY TALK TV. 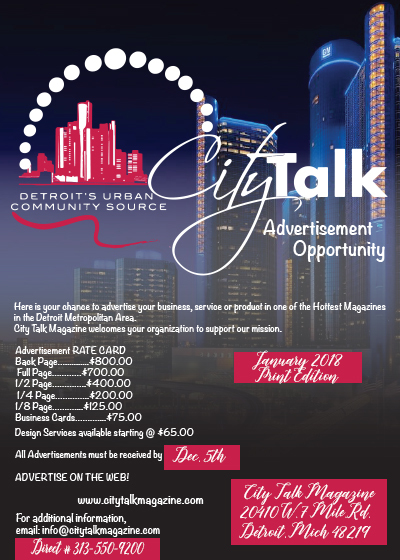 City Talk Magazine assists the City of Detroit with their encouragement of the retention and growth of local businesses. City Talk Magazine provides easy access to information about the nature and extent of community benefit programs and activities. We take our responsibilities seriously and believe publication of this magazine displays activities to incorporate our institution’s mission and core values. 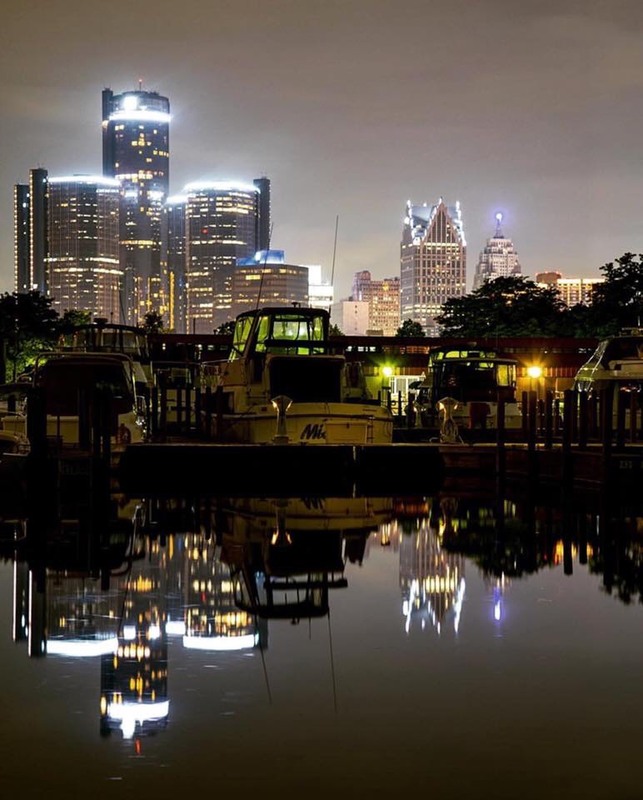 City Talk Magazine focuses on the community and the need for structure of professionals in the Detroit Metropolitan area. This encourages the community to shop at our stores and businesses. City Talk Magazine presents health-related research, the importance of family, a word of inspiration and ways to improve the lives of people in the community.